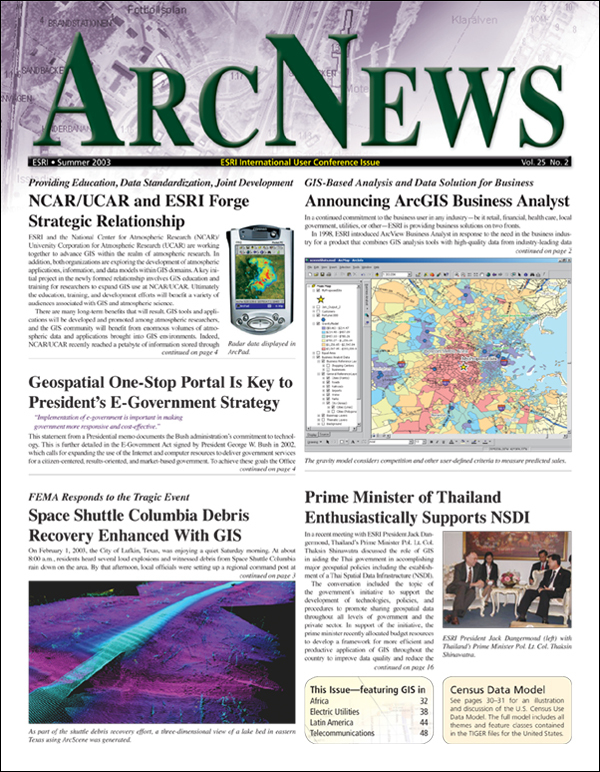 ArcNews Online shares selected articles from the print edition. Revisiting "Survey Analyst: A Dream Coming True"
Austria, Bulgaria, Caribbean, MexicoEsri T-Shirts Shine! Give ArcNews Online-Only Articles a Try! GIS Day 2003 to Celebrate Its Fifth Anniversary: GIS Goes Global on Wednesday, November 19, 2003!